Spaghetti squash has become popular in recent years. Not only is it delicious in its own right, it's now a popular substitute for pasta dishes because of its resemblance to spaghetti and its mild flavor. 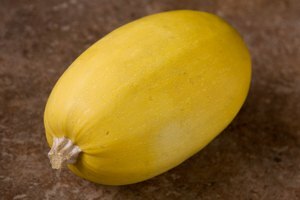 People unfamiliar with spaghetti squash will want to learn to identify the squash by some of its traits. 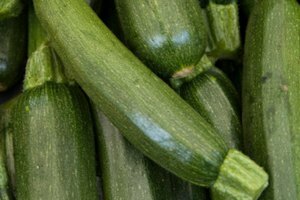 Becoming familiar with every aspect of the squash, including the leaves, will ensure that squash buyers leave the garden or supermarket with the squash they are looking for. Narrow down your search by identifying the summer and winter squashes. Spaghetti squash is classified as a winter squash. A good rule of thumb to keep in mind before shopping is that winter squash is available during the late summer, fall and winter. Look for squash with broad leaves and yellow flowers if you are buying squash directly from a garden. The plant flowers from late July to September. There will be fruit on the vine, but it will not likely be ripe. Remember to look at the vines after you inspect the leaves. Spaghetti squash vines can be up to 10 feet long and require support if you opt to grow them vertically up a trellis or wall. Look for squash that is small and watermelon-shaped when confronted with a number of different kinds of squash. 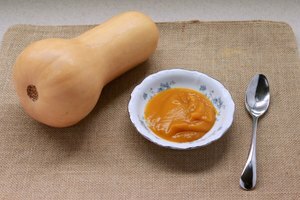 Many squashes are named after what they look like on the outside such as acorn and turban squashes. However, spaghetti squash's name comes from what looks like inside. 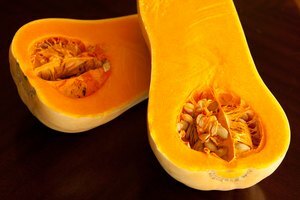 Search for squash that is yellow or tan in color when inspecting ripened fruit. Fruit that is almost white is not ripe enough. However, be aware that banana, butternut and delicate squashes are also yellow to tan in color. Do a process of elimination by looking at the shape as well. Pick up the squash in question. If it's spaghetti squash, it will weigh approximately three to eight pounds. Spaghetti squash has been described as "heavy for its size." Cut the spaghetti squash open. Unlike the pulpy look that some squash has, spaghetti squash is easily identified by the strings inside. It will resemble spaghetti. 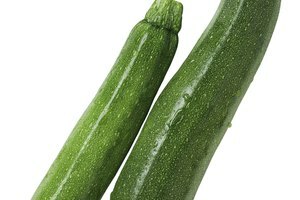 Go for larger spaghetti squashes, which taste better usually. The average spaghetti squash will yield approximately five cups. A new variety of spaghetti squash called "Orangetti" has been on the market since the 1990s. This one has orange skin, is high in beta carotene and tends to be sweeter than its yellow cousins.